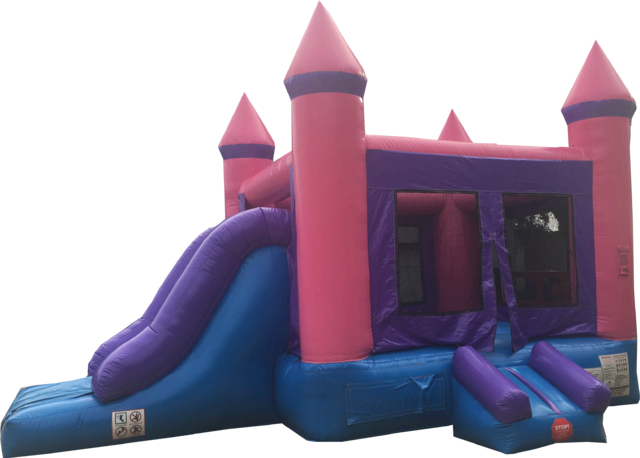 This pink and purple combo may look like your normal castle but it has a hidden feature. Not only does this combo features a FunJump and a slide , it also has a built in rock wall for added fun. How cool would it be to cliomb a rock wall? The weight limit for this jump is 500lbs. This rental's based price is for 6 hours. If additional rental time is needed we do offer overnight rental which is 25% extra.